Baykar delivered six more unmanned aerial vehicles to the Land Forces Command of the army as the Turkish company expands its fleet of domestically-made drones. With the latest deliveries, the number of Bayraktar TB2 drones for the Land Forces that is engaged in a difficult fight against terrorism, reached 18. Istanbul-based Baykar now boasts of being the main supplier of locally-made drones, as the latest delivery brought the number of its drones employed by the army to 30. Drones built by Baykar are also used by the Gendarmerie Command and the Turkish National Police. Since 2014, Land Forces have employed drones for reconnaissance, observation and gathering intelligence. Bayraktar TB2 has carried out more than 17,500 hours of fly time to date and boasts an altitude record at 27,030 feet. Baykar, which is one among the growing local suppliers for the Turkish defense industry, signed a deal last month with state authorities overseeing defense acquisitions at a defense trade show. 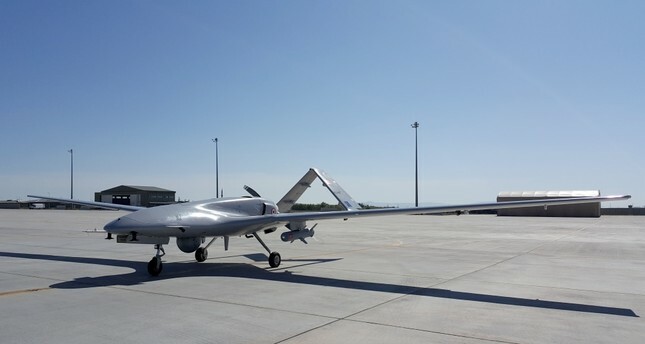 the authority's head, İsmail Demir, told reporters that the agreement with Baykar was for 12 unmanned aerial vehicles to be used in gendarmerie operations and that they planned further acquisitions from local companies. The Bayraktar TB2, which is a 100 percent Turkish original, is used in anti-terror operations in the country's eastern and southeastern regions where mountainous terrain poses a challenge to security forces. The drone was the first nationally-made micro unmanned aerial vehicle in the Turkish army's inventory. It was also the first nationally-made UAV to be exported, as it was delivered to Qatar in 2012.